Time: Doors open to public at 11:30 / Show starts at 12:00pm. Fees: $125 for first entry in team category/ $100 for each team entry after that. $125 for first entry in class category / $100 for each class entry after that. All fees are due by April 1, 2015 and there will be no refunds after April 7, 2016. Competition Etiquette and Expectations: All teachers, students and parents will hold the art of dance in the highest regard. There will be no derogatory statements concerning another school or fellow dancer at any time. Students of all ages, sizes, race gender and ability deserve the right to perform and experience the joy of dance. We hold a no negativity rule and it is strictly enforced. Anyone showing non-compliance to this rule be asked to leave the event and may disqualify the school. Teachers or coaches are not permitted to question judges about their scoring. If you have a miscalculation go speak directly to Kate or Paula, so the error can by adjusted as soon as possible. 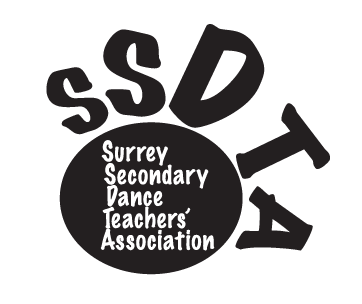 Any other complaints must be made in writing to the Surrey Secondary Dance Teachers' association. All numbers must have appropriate content for family viewing. Swearing or vulgar language will result in disqualification. Substances that alter the condition of the stage, (i.e. confetti, water, glass props) are not permitted in any category. All dancers must be from the same school, with the exception of break dance crews. All dance teams must have a minimum of 9 dancers. All classes must have a minimum of 15 dancers. Junior dancers may dance with seniors, but seniors cannot dance in a junior division. All dance team and class music must be no longer than 3 minutes. Music must be dragged into the Box by April 27th at 4:30pm. Please name your music with the number_school_category_name of dance. Coaches can bring an extra copy of their songs on a USB drive for back-up. All competitors must act with respect and co-operate with all students and officials of the show. Costumes must be appropriate for every dancer. Costumes that show too much cleavage, midriffs, thongs, or boys' underwear will be deducted. Remember this is a family show so moves should be respectful of the audience. Judges may deduct for rude gestures or bad taste. Open category is any type of dance except hip hop. There will be ribbons given out to 6th place in categories for all dancers. Teams will receive keeper rosettes from 1-6th for their trophy case and the winning teams will take the permanent trophies home for one year and have their school name added to the trophy. These trophies will be returned for next event in 2017. Please pick up your score sheets at the end of the competition. If any of your numbers are choreographed entirely by a student or students attending your school please indicate this on your registration form. Put the choreographers’ name(s) and grade beside the entry. These students will be recognized in the program and there will be an award for best junior and senior choreographer at the end of the show. This award goes to the school who cheers the most for all of the teams competing. Show the love! Please fill out ONE FORM FOR EACH DIVISION ENTRY.